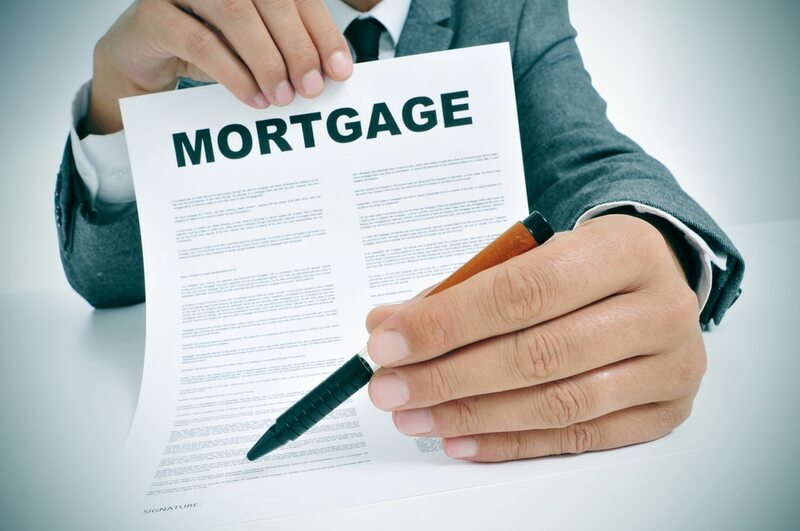 The mortgage business is characterized by many moving parts, and understandably so. There is a lot of money moving around in the housing sector, with the overwhelming majority of it existing in the form of home loans. Mortgages exist because the average borrower does not have the assets necessary to purchase a home outright. Your ordinary American worker falls somewhere between being able to buy a six-pack of cola and paying for a new house with a briefcase full of cash—as it happens, there is a lot of middle-ground in there. That trust, as it happens, is underwritten by a source of collateral the homeowner can’t help but keep front of mind—the home itself. A mortgage is attended by a lien which effectively collateralizes the home for which the mortgage was taken out in the first place. Keeps everything nice and connected. Borrower is permitted to occupy the house, and the lender has a surety of remittance in place. This system works well, at least once you overcome the hurdles associated with securing a mortgage. These days, interested borrowers can turn to some of the best-rated mortgage companies in the industry when looking to secure a home loan. Healthy competition, numerous buyer protections, and an eagerness to earn the business of qualified borrowers have collectively resulted in mortgage companies across the country making great strides where consumer satisfaction is concerned. Many of the negative aspects of loan qualification have been either efficiently consolidated or eliminated outright. Rather than subject consumers to needlessly byzantine application processes, prequalification can now be quickly and accurately completed online. The industry’s best mortgage lenders now allow customers to essentially navigate through the approval process’ early steps in succinct and intuitive fashion. Which means hopeful borrowers can determine where on the lending spectrum they fall and align their house search with what they can reasonably afford. Existing homeowners may also have much to gain from the competitive financial landscape. With interest rates fluctuating early and often, researching your refinancing options is only sensible. In working with the best mortgage refinance companies, such as Quicken Loans and CitiBank, homeowners can potentially save a good deal of cash each year. And with increasingly simple application and approval processes, there is little reason to not explore the options available to you. Below we have provided an overview of the country’s best-rated mortgage companies. Though similar in many respects, there exist noteworthy distinctions from one to the next. Headquartered in San Diego, CA, Plaza Home Mortgage operates loan centers in nine states and is widely respected within the industry. Plaza is exceptionally customer-focused and works to earn the trust and business of its clients at every turn. With a broad and well-established lending network in many major markets, Plaza Home Mortgage may well be worth exploring as a potential home loan provider. PennyMac USA is a California-based mortgage lender with a broad range of lending tools and resources at their disposal. Unlike many of its competitors, PennyMac is a direct lender, meaning they are not dependent upon loan networking to help clients achieve their borrowing goals. Customer service and satisfaction are central to the PennyMac business model, which makes more than worthy of consideration when next you are looking to purchase a home or refinance the one you have. Quicken Loans is becoming (or perhaps already is) the eponym for the industry in which it operates. According to verifiable rankings, Quicken Loans is the nation’s number one online lender, a major point of pride for the company. It is also the largest lender of its kind. In short, if you feel more comfortable doing business with a household name in the mortgage business, it’s difficult to surpass Quicken Loans in that regard. There are certain advantages to working with a credit union, such as Chicago-headquartered Alliant. Because they are strictly not-for-profit in their business model, Alliant is not answerable to shareholders in any Wall Street sense of the term. Their customers effectively own a piece of the business, which, where mortgages are concerned, creates a mutually beneficial arrangement between lender and borrower. Citibank Mortgage operates as an arm of one the nation’s largest financial entities and, by extension, offers borrowers a wide variety of lending options. Where deciding on a lender is concerned, this one certainly belongs on the list of viable contenders. With a clean public image and excellent business reviews, New American Funding is an attractive mortgage company for the aspiring borrower. New American provides its applicants with a streamlined application process and a tech-savvy approach to the lending industry. Give them a close look when you are ready to shop lenders.